I hope you had an enjoyable and relaxing vacation. 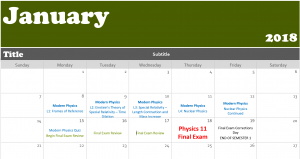 We have exactly two weeks left in Physics 11! 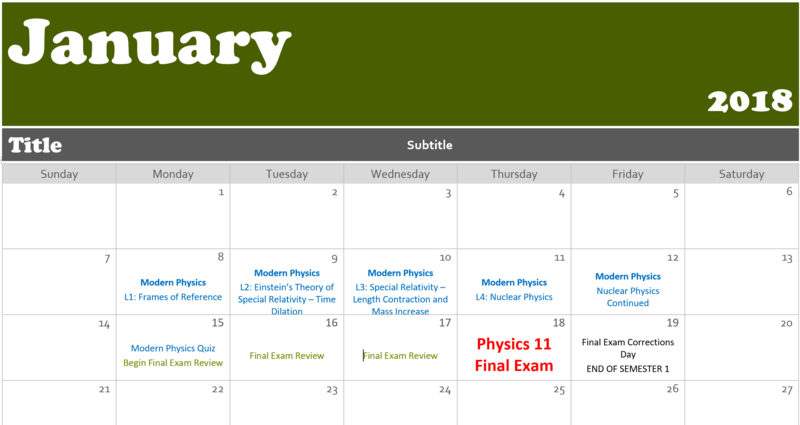 See a tentative schedule for the next two weeks below. Assignment: Read Chapter 1 of “The New World of Mr. Tompkins” and complete the assigned reading questions. This entry was posted in Physics 11. Bookmark the permalink.